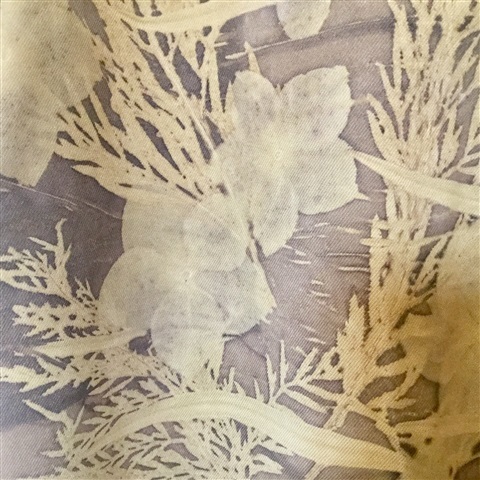 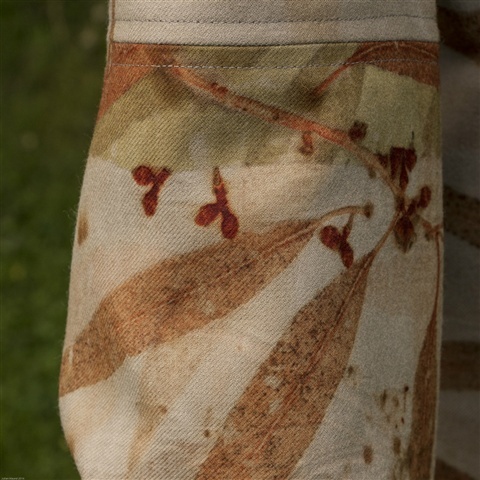 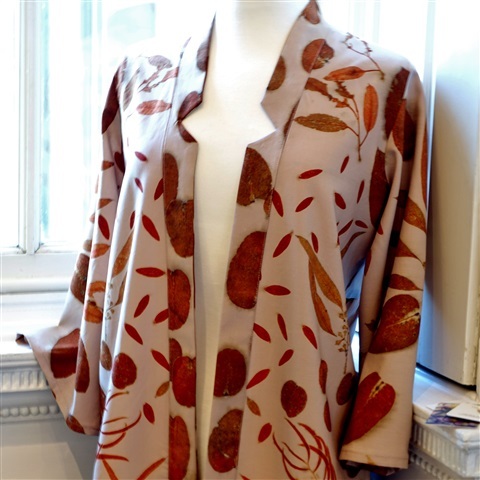 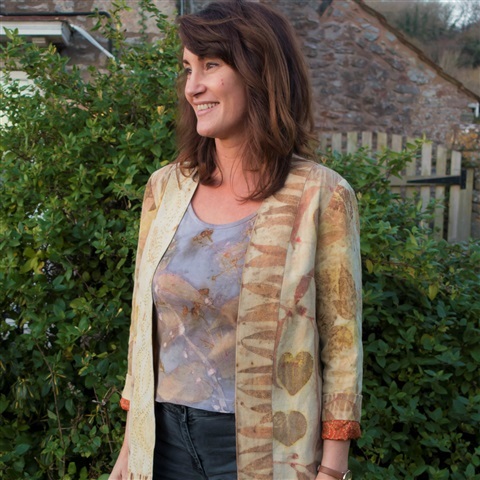 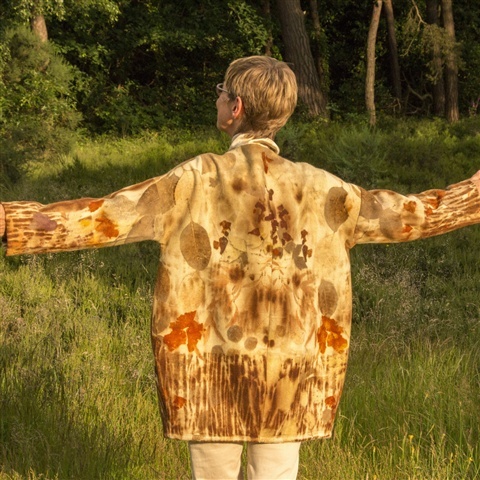 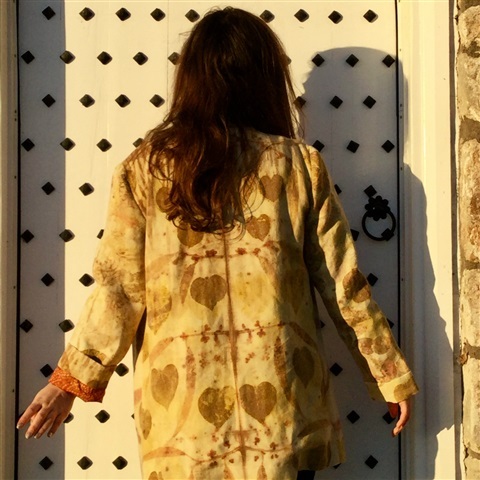 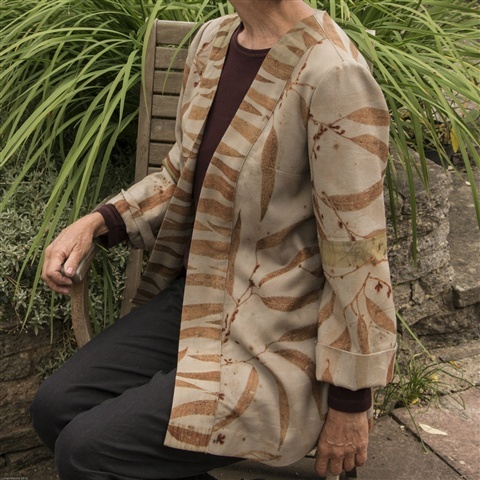 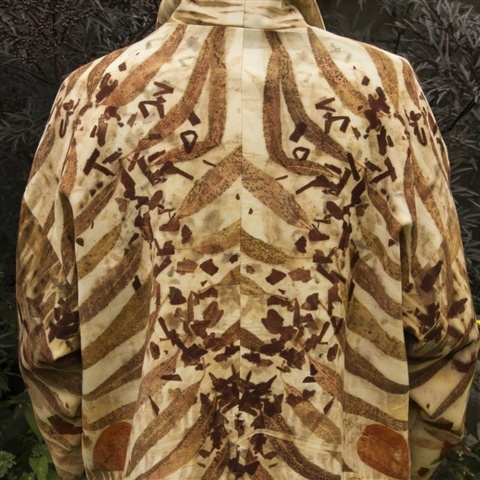 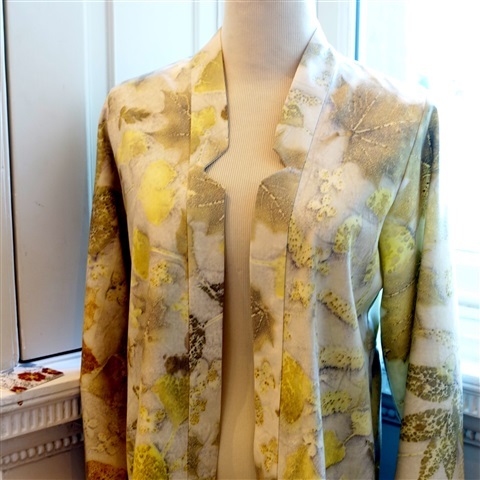 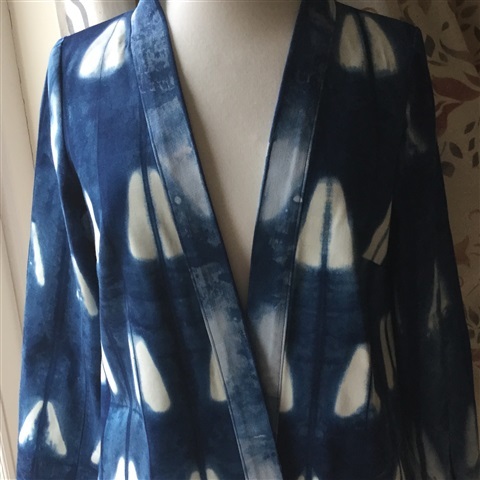 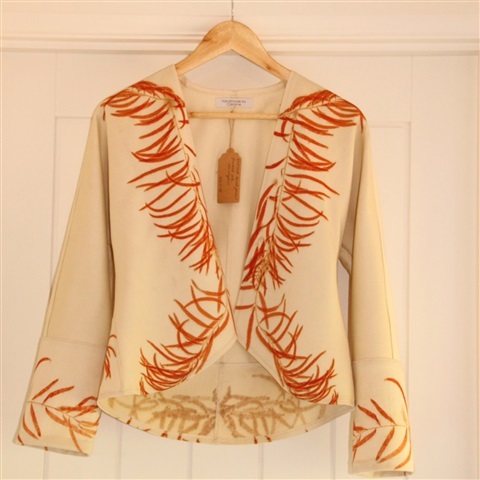 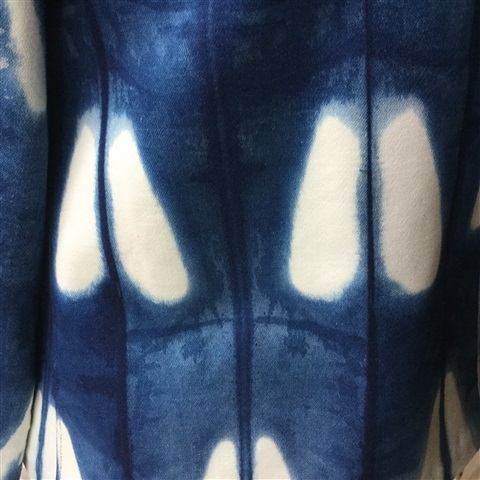 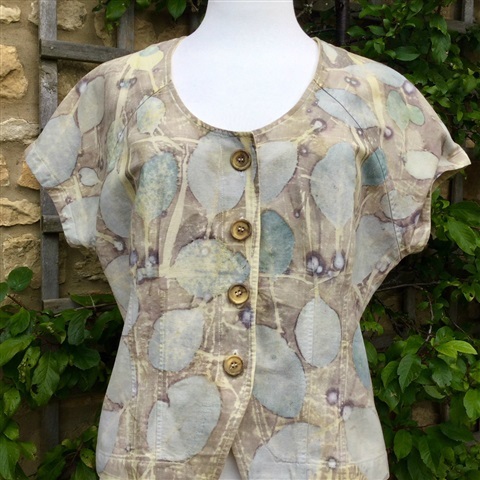 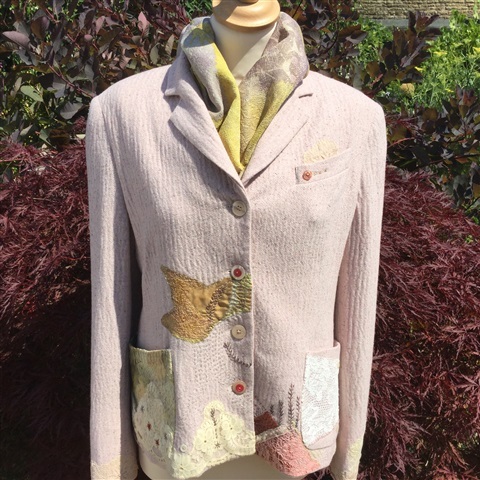 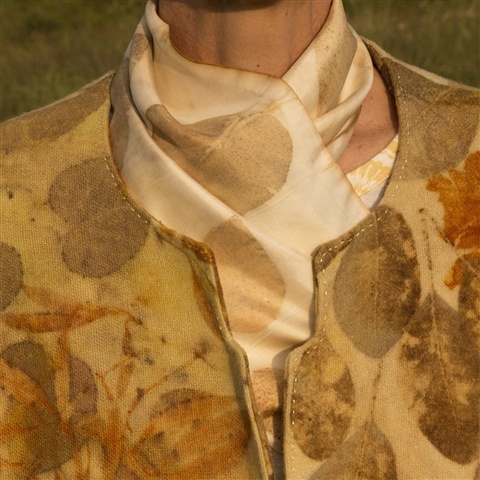 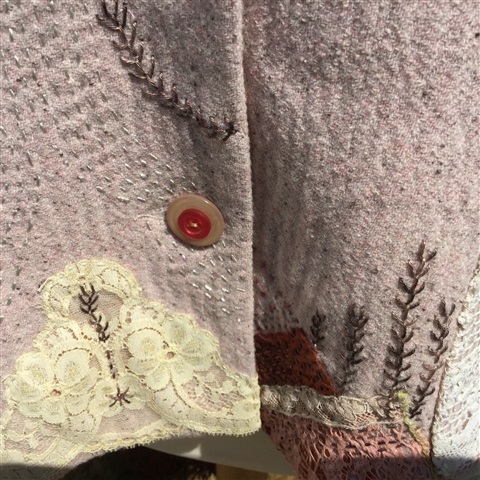 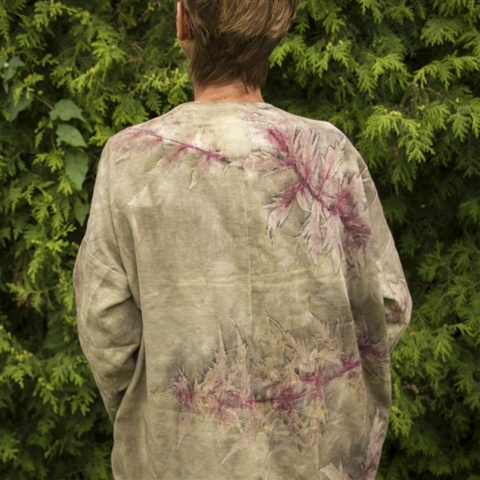 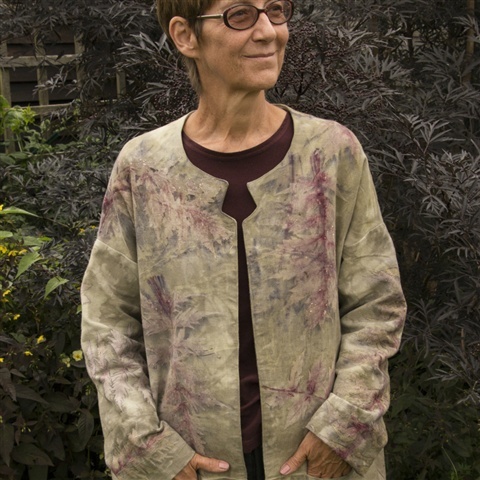 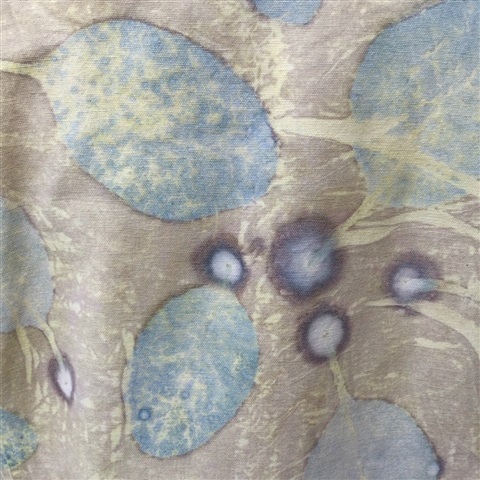 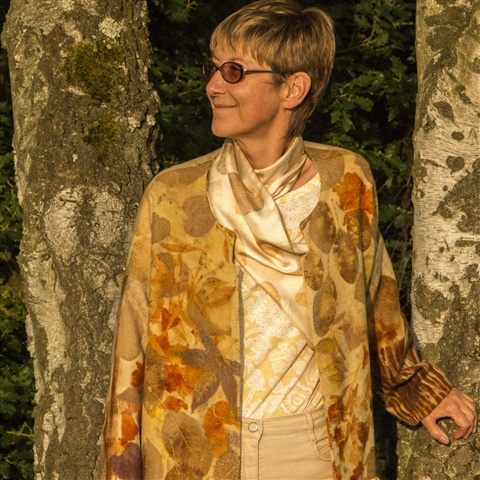 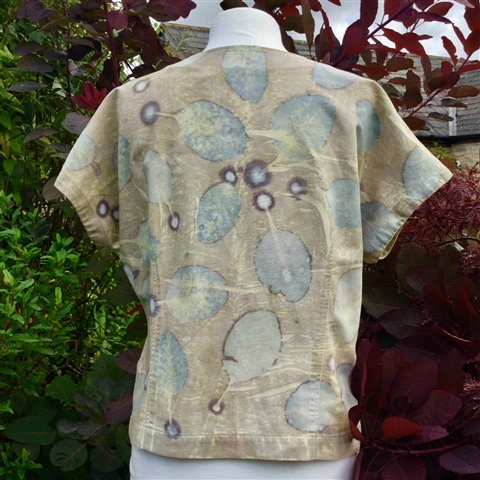 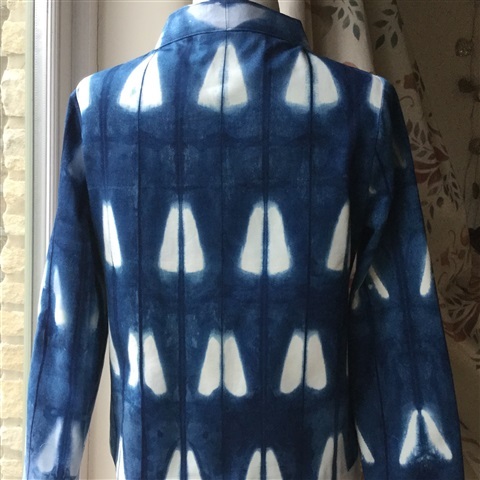 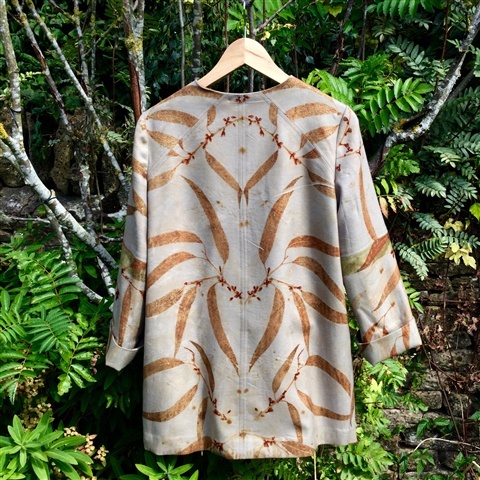 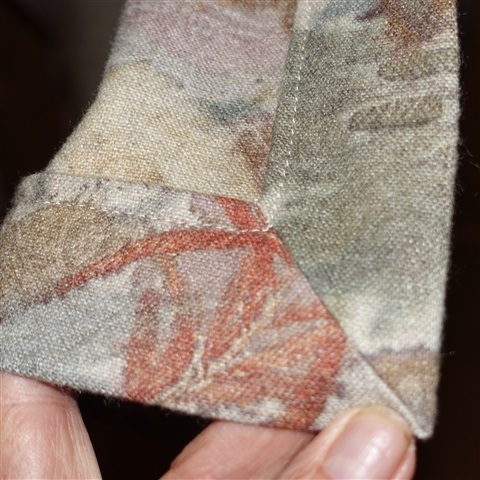 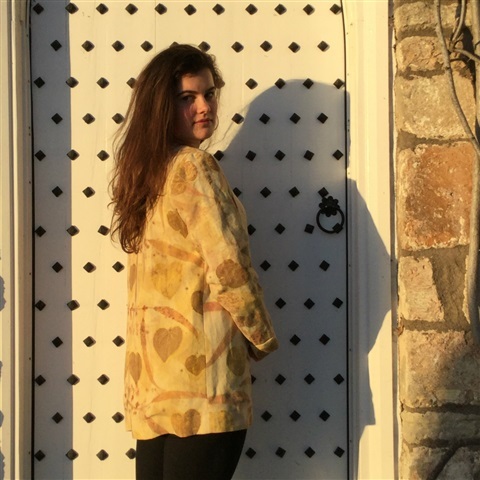 made of a lovely soft drapey lightweight wool, printed with mixed autumn leaves. 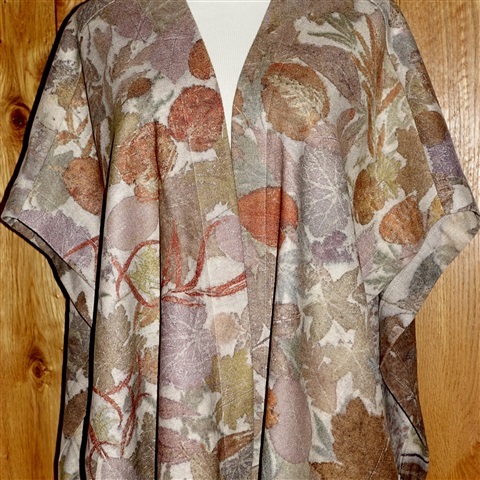 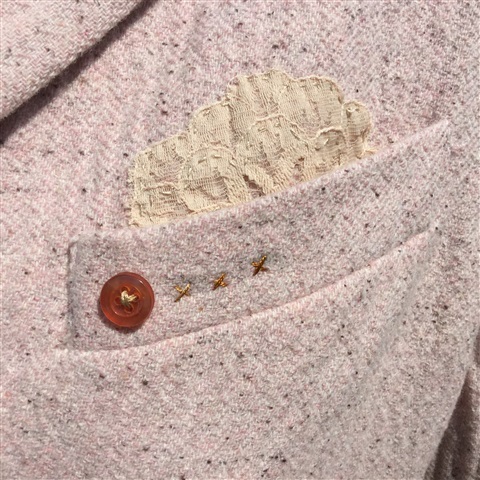 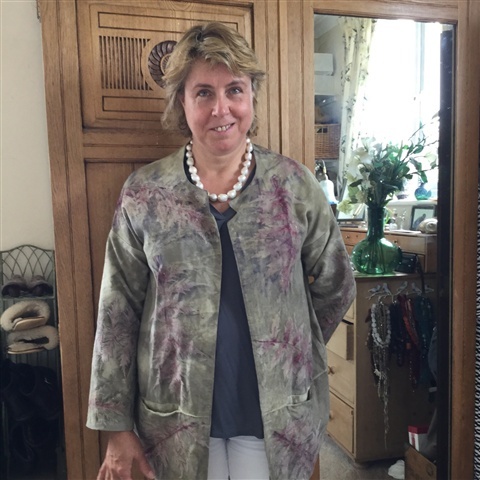 The neckline is tailored to fit around the neck, and all the edges are faced, meaning that it drapes like a shawl, but looks more structured and tailored, and stays in place. 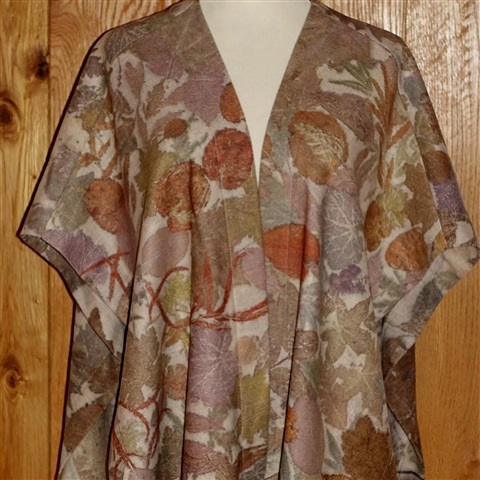 A really versatile garment. 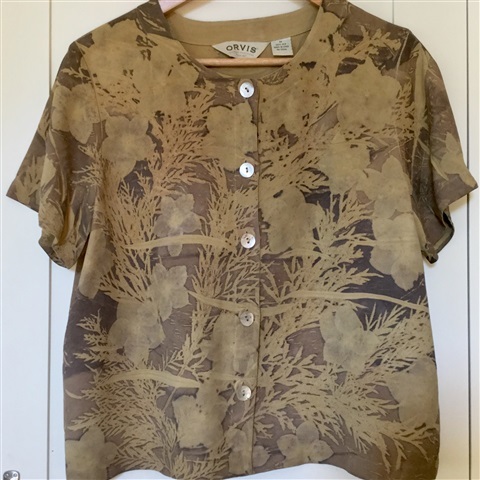 free size, will look good on size 8-18!